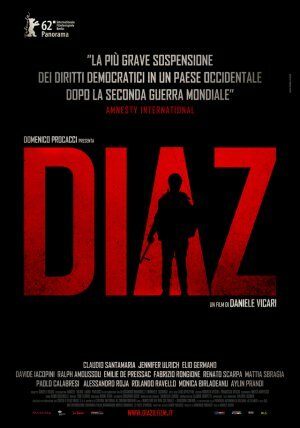 Shortly before midnight, on the last day of the G8 summit in Genoa 2001, more than 300 police officers stormed the Diaz school, looking for black bloc demonstrators. Inside the school were 90 activists, mostly students from around Europe preparing to spend the night on the floor. As the police burst in, the young demonstrators raised their hands to surrender. Undeterred and unmoved, the officers unleashed a calculated frenzy of violence, beating both young and old, male and female indiscriminately.